If you were tuned into your television set as early as 1959, you might've stumbled upon fitness guru Jack LaLanne demonstrating his famous fingertip push-ups. This gravity-defying exercise, long-used by martial arts experts to develop powerful grip strength, requires lifting your entire bodyweight on just your toes and fingertips. It's an extremely difficult move, and may require years of training to achieve. If you've fully mastered the regular push-up, try enhancing your grip strength and increasing your forearm power further with this punishing variation. Fingertip push-ups can be dangerous without perfect form. You don't want to risk an injury to your fingers if they aren't ready to support your weight. To start, lay on your stomach with your toes on the floor and your arms outstretched, with palms down. Next, try and lift your body weight on your palms and toes. This is the first motion of the fingertip push-up, as made famous by Jack LaLanne. For the final challenge, repeat this exercise on your fingertips instead of your palms; if you've truly conditioned yourself into amazing shape, you should be able to lift your entire body weight right up onto your fingertips, without risking an injury. Fingertip push-ups don't necessarily depend on your finger strength at all. Fingers work using tendons located in your forearm, not by the contraction of muscles in the fingers themselves. Getting to a fingertip push-up requires rigorous conditioning of the muscles in your forearms. Rock climbers train their forearm strength using isometric, or static, exercises, like hanging on a hang board or wall hold for short, sustained periods. With a training regimen mimicking these pro athletes, you should be able to develop your forearm strength enough to sustain your body weight in a fingertip push-up. The secret to the perfect fingertip push-up may also be in your core and shoulders. Fitness expert and kinesiologist, Ron Jones, calls the fingertip push-up one of the most difficult variations. "If you don't have extremely developed core and shoulders," says Jones, "you won't be able to safely attempt this advanced push-up." Developing total body fitness may be the only way of successfully executing this very advanced exercise. 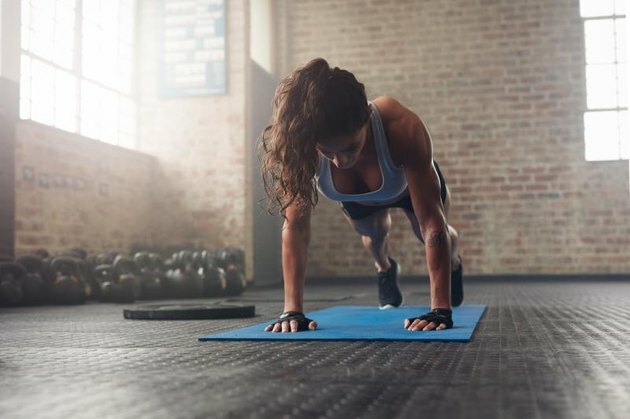 Using exercises like sit-ups, forward planks and traditional push-ups will all develop your core muscles, getting you fit enough to attempt fingertip push-ups. Like any exercise, pushing close to your limit can risk injury. In an exercise as difficult as a fingertip push-up, it's especially important to develop your strength slowly over time. Jones estimates that only a handful of people across the world are capable of executing a fingertip push-up. 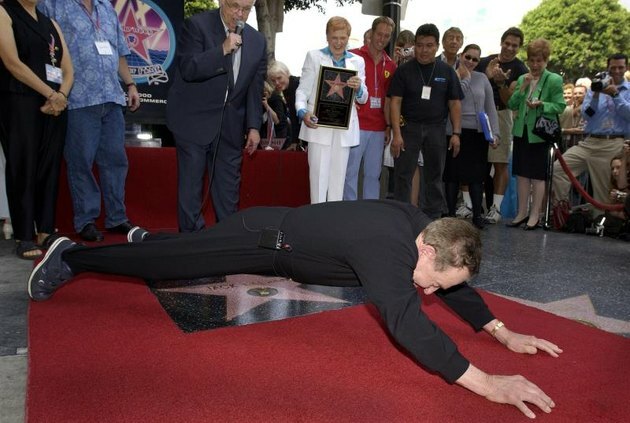 Jack LaLanne himself was one of the few, and executed his famous fingertip push-ups well into his 90's, remembers Jones. "It gives me something to look forward to someday!"